A North East development site with the potential to create more than 3,000 jobs is being promoted as an investment opportunity by the Government on an international level. Forrest Park in Newton Aycliffe is one of 11 projects to feature in a property portfolio, launched by the Department for International Trade to showcase the wide array of opportunities on offer in the UK to foreign investors. The projects within the portfolio offer investment opportunities totalling £2.2 billion and were chosen to demonstrate Britain’s strengths in key sectors, from manufacturing and green energy production, to tourism, business and housing. The 52-hectare site is located just off the A1 and its development for private sector manufacturing and commercial use would extend Aycliffe Business Park to become the largest in the North East. The £140m development also has the potential to create 3,200 jobs and boost County Durham’s economy by almost half a billion pounds over the next 20 years. Richardson Barberry has submitted a planning application for 1.75 million sq ft of business, industrial and warehouse units on the site, which is now ready for development to commence. 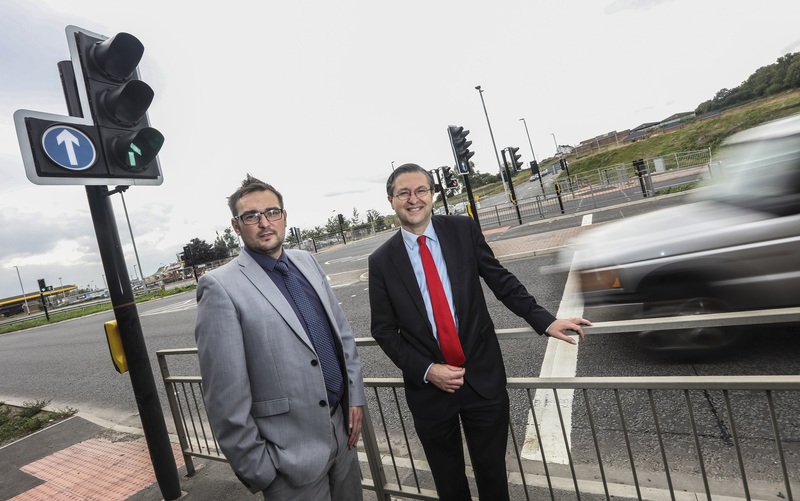 Major highways, signalisation, drainage and power upgrades have all been completed, including the creation of a new traffic light controlled junction on the A167. Cllr Carl Marshall, Cabinet member for economic regeneration, said: “We are thrilled Forrest Park has been included in the Government’s property investment portfolio. “Not only does this promote the scheme to international investors but it showcases County Durham and the wider region as a place of growth and opportunity. Jonathan Robinson, on behalf of Richardson Barberry, said: “We are excited at the prospect of delivering one of the North East’s premier business parks and it’s great to see that it is being promoted as an extremely attractive investment opportunity to an international audience.